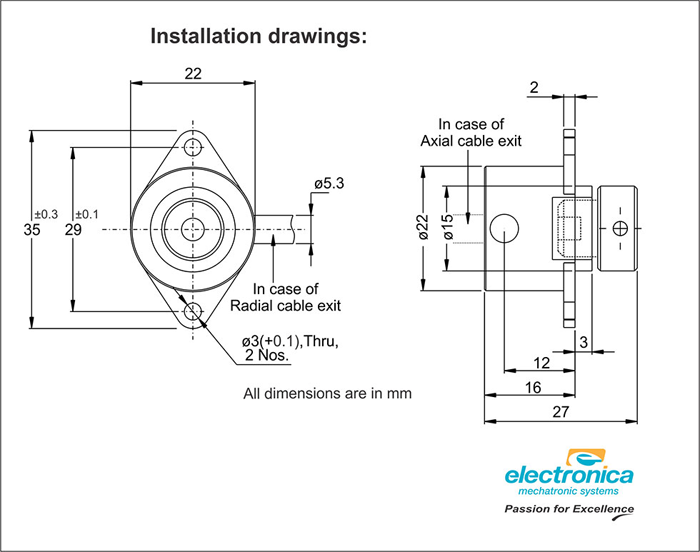 Please contact our sales representative for standard as well as any customised encoders. 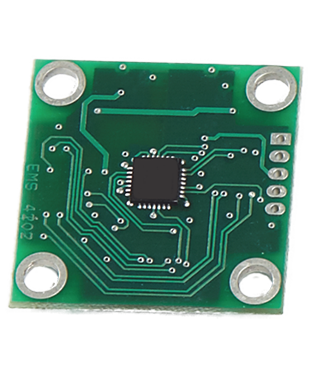 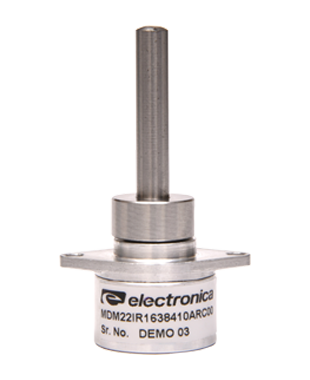 MDM22 magnetic encoder module consists of an encoder body and a magnet holder. 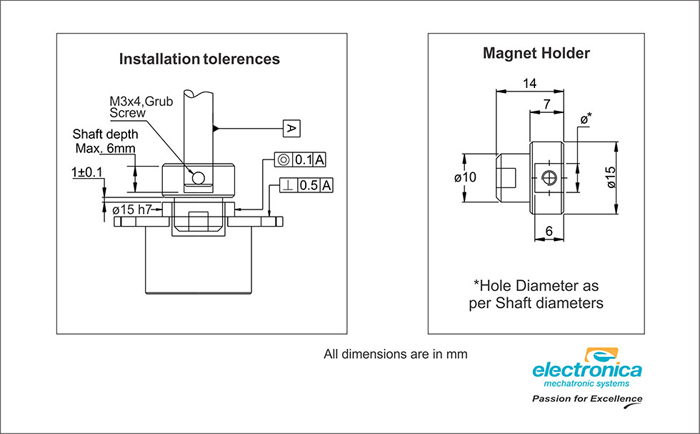 The magnet holder is fitted on the rotating shaft and the encoder body in front of the magnet holder. 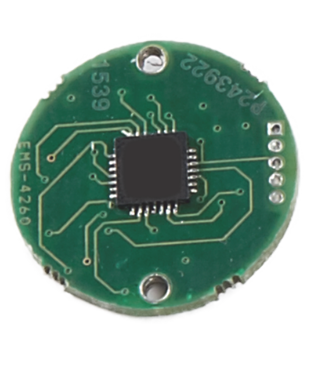 The sensor inside the body will sense the rotating magnet and gives the Absolute as well as incremental outputs up to 14 bits per rotation. 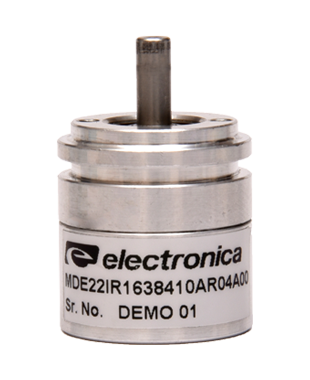 This gives a very high speed, IP68 robust, bearing less encoder design ideally suitable for applications in harsh environments.